Amino acid complex with essential amino acids. 240 tablets each containing 500 mg amino acids. Amino Vida contains nine high-purity, free and crystalline amino acids from pulses of natural origin, is vegan and free of any additives. It provides an optimal amino acid pattern, has almost no calories and is available to the body after a short time. Amino Vida contains nine free crystalline amino acids in a perfect combination. 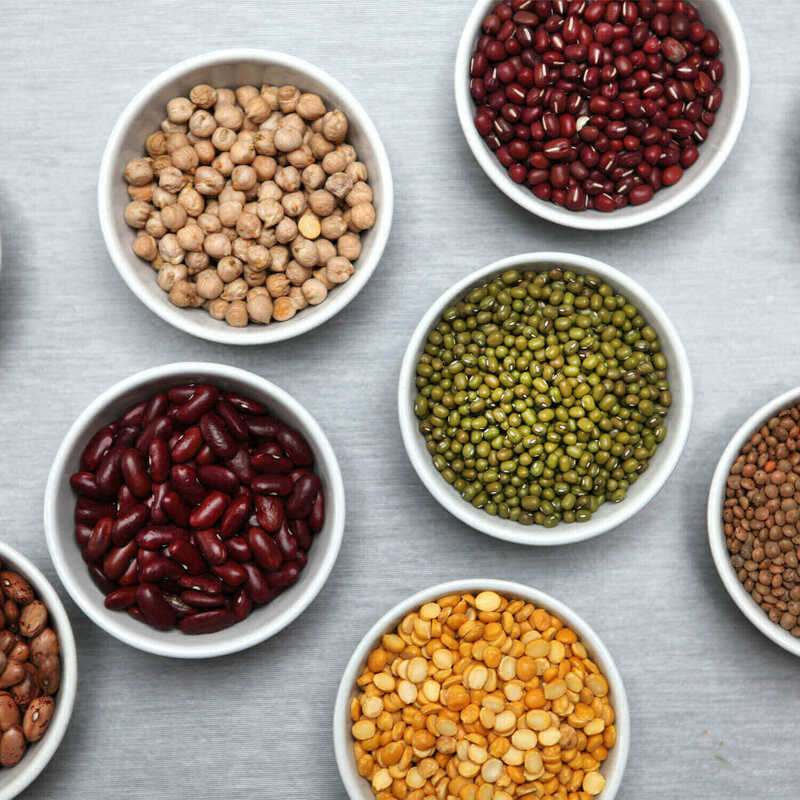 The amino acids of highest purity are obtained naturally from pulses, are vegan and additive-free. Amino Vida provides the human body with an optimal amino acid combination and is almost calorie free. It is bio-available to the body shortly after ingestions. Amino Vida is an ideal amino acid nutrition for athletes and people who would like to supplement their bodies essential amino acid supply. Amino Vida contains all eight essential amino acids as well as the semi-essential amino acid arginine. Essential means, that the amino acids are vital to our well-being and cannot be produced by the body itself. L-arginine is deemed semi-essential as it can be synthesised by the human body. In certain circumstances (e.g., age, growth phases, diseases, or physical activity), L-arginine can also become essential to the body. Amino acids are the building blocks of proteins. Amino Vida has a high protein content. Proteins contribute to the maintenance and increase of muscle mass. Amino Vida provides an optimal ratio of all eight essential amino acids (L-Leucine, L-Valine, L-Isoleucine, L-Lysine, L-Phenylalanine, L-Threonine, L-Methionine, L-Tryptophan) for the human nutritional system. Amino Vida also contains the semi-essential amino acid L-arginine. It is deemed semi-essential because L-arginine can be synthesised by the human body. Under certain circumstances (e.g. depending on age, growth phases, diseases or physical activity) this semi-essential amino acid can also become essential for the body. Amino Vida contains the protein building blocks (amino acids) in hydrolysed form. This means small, short individual building blocks are available instead of long protein fragments. In this way they are better absorbed and utilised more efficiently than the long protein chains. Due to its hydrolysed form, Amino Vida is an ideal protein supplier for people with kidney and liver problems. Amino Vida is almost calorie-free (only 0.5 kcal in 10 pellets). Amino Vida is absorbed within a very short time in the small intestine because the amino acids are already split open. 99% of Amino Vida is utilised in the body to build muscles. Amino acids are the building blocks of proteins. They are assembled in the body to form long protein or protein chains. These are amongst the most important components of the human body and control a large number of essential processes. 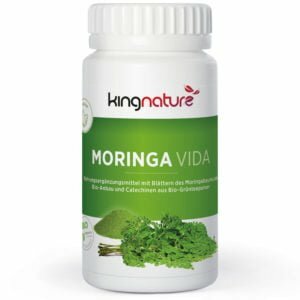 The best possible renewal of cells, muscles, bones and organs, i.e. the life of the body, depends on an adequate supply of proteins and their building blocks, the amino acids. For people with vegan or vegetarian lifestyles, it is not always easy to intake the daily proteins needed by the body with their meals. Animal products are a valued source of protein that is lost. Legumes are a good vegan alternative. However, a lot of discipline is needed to reach the recommended daily protein dose. Especially vegan athletes know this problem. The daily protein requirement is twice as high for people who do sports every day and for top athletes as for normal people. 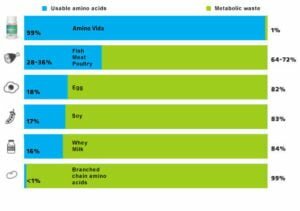 Amino Vida is a suitable protein supplier to compensate for protein deficiencies. New formula Amino Vida from June 2018! We only use hydrolysed amino acids in Amino Vida. Without adhesives. Without additives. Without auxiliary substances. This had the disadvantage that the tablets do not stay whole for long when exposed to air. We have invested a lot in our product development to improve the formula to improve stability successfully. We achieved this without adding any additives, yet maintaining the same price as before. Buy amino acids online now: We also accept Visa / Mastercard and Postcard. 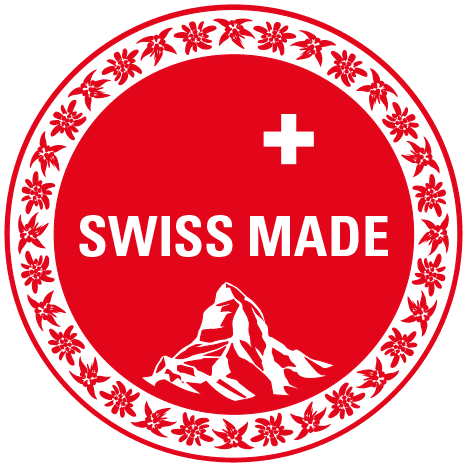 Orders exceeding CHF 120 are shipped free of charge (within Switzerland). EU customers please use our EU-Shop. Amino Vida contains 240 pellets each containing 500 mg of amino acids. Net content 120 g. Dietary food. Availability – in stock. Our product Amino Vida is on the Cologne List®. Cologne List® does only include nutritional supplements with a minimized doping risk that have been tested for selected doping substances such as anabolic steroids and stimulants by one of the globally-leading laboratories in nutritional supplement analytics. Amino Vida provides a ratio of all eight essential amino acids (L-leucine, L-valine, L-isoleucine, L-lysine, L-phenylalanine, L-threonine, L-methionine, L-tryptophan) optimal for human nutrition. Amino Vida contains an additional semi-essential amino acid, L-arginine. Semi-essential because L-arginine can be synthesised by the human body. Under certain circumstances, for example, depending on age, growth phase, illnesses or physical activity, this semi-essential amino acid can become an essential one. Amino Vida contains protein building blocks in hydrolysed form (amino acids). This means small, short, individual blocks as opposed to long protein fragments. They are thus better absorbed and utilised quicker than the longer protein chains. Amino Vida is virtually calorie-free (only 0.5 kcal per 10 capsules). Amino Vida is quickly absorbed by the small intestine. Take 6-10 pellets daily preferably 30 minutes before physical exertion. Amino acids are the building blocks of proteins. They form long protein chains in the body. These are amongst the most important components of the human body and control a multitude of vital processes. The optimal renewal of all cells, muscles, bones and organs i.e. the life of the body, depends on a sufficient supply of proteins and their building blocks, the amino acids. Encapsulated Green Coffee bean Extract… ..